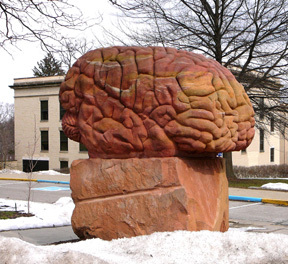 A new Encephalon is out, rounding up the best mind/brain blogging. The Mouse Trap is hosting, and this edition includes a good selection of posts. The latest Four Stone Hearth rounds up anthropology blogging over at Spider Monkey Tales. I really have to highlight the spectacular photos of a male drill monkey, with an accompanying post. I worked with drill monkeys for a year, so this was great to see! Visit Four Stone Hearth #81. Do they have one with the Brodmann areas marked?